New York, NY, U.S.A.: Lantern Press, 1951. This copy of the revised and enlarged edition is inscribed, "To Dr. Mable Ross, With Every Warm Wish," and is signed by the author, Jerome J. Miller. A bit of edgewear to the dust jacket, otherwise the book and the jacket are better than Good. The jacket is housed in a protective cover.. Signed and Inscribed By Author. Revised and Enlarged Edition. Hard Cover. Good/Good. 8vo - over 7¾" - 9¾" tall. THE FIJIANS: A STUDY OF THE DECAY OF CUSTOM. London: William Heinemann, 1908. This is a rare copy is inscribed by the author to Anatole von Stugel "with the author's kind regards. October 1908." It is a Good copy showing wear at the extremities and some foxing (browning) within, but otherwise tight and very readable.. Signed and Inscribed By Author. First Edition. Hard Cover. Good/No Dust Jacket. 8vo - over 7¾" - 9¾" tall. New York: Doubleday, 1993. This is a Very Good copy in a Very Good dust jacket. It includes the musical CD which came with the book. But most importantly, it is SIGNED BY SEVEN MEMBERS OF SWEET HONEY IN THE ROCK on the title page. . Signed by 7 Members of Sweet Honey. First Edition. Hard Cover. Very Good/Very Good. 4to - over 9¾" - 12" tall. COAL DUST ON THE FIDDLE: SONGS AND STORIES OF THE BITUMINOUS INDUSTRY - Horace Beck's Copy. Philadelphia, PA: University of Pennsylvania Press, 1943. This copy, of a classic work on industrial folklore and folk music, is signed by folklorist Harace Beck - it was his copy. The book is in Very Good condition. The dust jacket shows a bit of fading to the spine and some spine edgewear - a generally Good DJ.. First Edition. Hard Cover. Very Good/Good. 8vo - over 7¾" - 9¾" tall. NOTATIONS - Hard Cover First Edition. New York: Something Else Press, 1969. This is the very rare hard cover First edition of John Cage's Avant-Garde classic work.The book is in Good condition - tight - but with some browning around all edges of the book. The Dust Jacket also has brownsing especially to the back cover of the jacket, but is complete and looks good in a protective cover.. First Edition. Hard Cover. Good/Good. 9"x9" Square. CHARLES DARWIN: MEMORIAL NOTICES, REPRINTED FROM "NATURE." By Huxley, T.H., G.J. Romanes, Archibald Geikie, and W.T. Thiselton-Dyer. London: Macmillan, 1882. This is a scarce work on Darwin containing articles by the listed famous authors on Darwin's Life and Character, Work in Geology, Work in Botany, Work in Zoology, and Work in Psychology.The book is in near Very Good condition: it has a small ex-library stamp on the title page and a written number on the verso page - otherwise it has been recently re-bound with a leather spine and green modern art-looking paper boards.. First Edition. Leather Spine Over Paper Board. Very Good/No Dust Jacket. 12mo - over 6¾" - 7¾" tall. MY LITERARY ZOO. - SIGNED. New York: D. Appleton & Co., 1896. Sanborn inscribes the book "to a musical friend," and signs it in a bold hand on the front free endpaper.The book is about various pets and the publisher's binding shows a gilt dog peeking out of a circle on the front cover.The book is bright, tight, Very Good and SIGNED.. Signed and Inscribed By Author. First Edition. Hard Cover. Very Good/No Dust Jacket. 12mo - over 6¾" - 7¾" tall. New York: Funk & Wagnalls, 1893. The book has an introduction by the feminist, educator, and anti-liquor advocate, Frances Willard. She writes: "Total abstinence, manhood exalted and redeemed, the home protected, childhood trained to such physical cleanliness as shall banish alcoholics and tobacco from the outfits of every boy youth and man..." The book shows very light wear at the spine extremities but has a lovely publisher's pictorial binding of a sheaf of wheat in gilt and silver on the front cover.. First Edition. Hard Cover. Very Good/No Dust Jacket. 8vo - over 7¾" - 9¾" tall. INSPIRATIONS OF AN INNKEEPER: FROM THE SPEECHES, CHRISTMAS MESSAGES, CORRESPONDENCE AND EXPERIENCES OF CONRAD N. HILTON, DURING THE PERIOD 1950-1962. Los Angeles, CA: Privately Published, 1963. This is number 197 of only 312 copies. It is signed by Conrad Hilton and inscribed "For Juan T. Trippe," the founder of Pan American Airways. Therefore it is Trippe's copy of the book. Hilton, of course, was the founder of the Hilton Hotel chain. This book was probably self-published for gifts to his friends and business partners. It is in Fine condition and is housed in a slightly worn slipcase. WorldCat locates only 19 copies in libraries.. Signed and Inscribed By Hilton. Limited Edition. Faux Leather. Fine/No Dust Jacket. Folio - over 12" - 15" tall. No Place: Privately Printed, 1935. As of this moment, WorldCat locates only 25 copies of this scarce book on the American South. Some light fade to the red covers, oltherwise a near Very Good copy.. First Edition. Hard Cover. Near Very Good/No Dust Jacket. 8vo - over 7¾" - 9¾" tall. MY EARLY LIFE: A ROVING COMMISSION. London: Thornton Butterworth, 1930. This is the First Edition of Churchill's autobiography. It can be identified because there are 11 previous Churchill books listed on the verso of the half title page. The book is Good, tight and very readable. However, the spine color has faded although the spine title is still readable. . First Edition. Hard Cover. Good/No Dust Jacket. 8vo - over 7¾" - 9¾" tall. MARSHAL FOCH AND THE PENNSYLVANIA SOCIETY: BEING AN ACCOUNT OF THE LUNCHEON...BY THE SOCIETY NOVEMBER 19, 1921..
New York: The Pennsylvania Society, 1922. The luncheon honoring Marshal Foch was held at the Waldorf-Astoria Hotel in New York City.This book contains the seating list of attendees, biographical information and more. It is limited to 200 copies.. Limited to 200 copies. Hard Cover. Near Very Good/No Dust Jacket. 8vo - over 7¾" - 9¾" tall. New York: D. Appleton & Co., 1894. Based loosely on the characters of Oscar Wilde and Lord Alfred Douglas, this book was reason for scandal when it was published anonymously in this edition. This is the First American Edition which was published simultaneously with the British edition. The green cloth shows light wear at all extremities but the book itself is tight and Good.. First American Edition. Hard Cover. Good/No Dust Jacket. 12mo - over 6¾" - 7¾" tall. AFTER THE BALL: FORTY YEARS OF MELODY, AN AUTOBIOGRAPHY. New York: Frank-Maurice, Inc., 1926. Song-writer Harris took up the entire front free endpaper with a pencilled, handwritten autobiographical poem. He also signed that page twice. A sample of the poem: "My first name is Chas.,my initial is K / My last name - but never mind, there is / No need in the world, I am certain to say / What all of you know it is - Harris!!." There are three such stanzas. The book is in Good condition - tight and readable. However the spine title is completely faded and not readable. Still, the inscription makes the book unique in the annals of American popular music.. Author Inscribed and Signed. Hard Cover. Good/No Dust Jacket. 8vo - over 7¾" - 9¾" tall. London: George Routledge & Sons, 1899. This is a special edition, limited to only 20 copies on Japanese Vellum, of which this is Number 16. It is signed by the famous printer, Edmund Evans and has a tipped in signature of the artist/author, Walter Crane. It is a very unusual and extraordinary book. As to the condition: All extremities show some wear, the paper title is heavily rubbed. The rest of the book is in better-than-Good condition. Crane's lovely illustrations are here printed with large margins which show off his artistry. The odds of finding another copy of this book are quite slim.. Signed by Edmund Evans and Walter Crane. Limited Edition. Hard Cover. Good/No Dust Jacket. Illus. by Walter Crane. Folio - over 12" - 15" tall/square. By Hille, Waldemar (editor]; Alan Lomax [Forward]; B.A. Botkin [Preface]. New York: Boni and Gaer, 1948. First, the hardcover edition of this book is quite rare. Next, this copy is from the library of (and is signed by) one of the founding members of the folksinging group, The Weavers, Fred Hellerman. After singing with Pete Seeger, Lee Hays and Ronnie Gilbert, Hellerman went on to produce the recording of Alice's Restaurant for Arlo Guthrie and also served as the music director for the film. The book is in Very Good condition and his clearly signed by Hellerman. The dust jacket is in pieces, and missing some pieces, but is preserved in a clear mylar protective cover.This would be a great gift for anyone interested in the folk song revival and leftist politics. . Signed By Fred Hellerman. First Edition. Hard Cover. Very Good/Fair. 4to - over 9¾" - 12" Tall. New York: Citadel Press, 1968. A landmark book in the 1960's history of the folk music revival. Contains the famous Dave Gahr photos from all the festivals and concerts and Washington Square folksingers, etc. The book is Very Good, tight. The dust jacket shows wear at all extremities but shows up brightly in a clear mylar protective cover.. First Edition. Hard Cover. Very Good/Good. Illus. by David Gahr, Photographer. 4to - over 9¾" - 12" tall. New York: Macmillan, 1968. Milton Okun was an American arranger, record producer, conductor, and singer. He created arrangements or produced for Peter, Paul and Mary, The Chad Mitchell Trio, John Denver and Miriam Makeba among others. 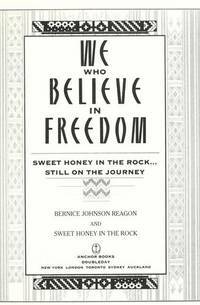 In 1968 he interviewed many American folksingers and published the songs they chose in this book. One of the folksingers was Fred Hellerman, a founding member of The Weavers, who chose "I Ride an Old Paint" as his song in the book. This copy of the book was Hellerman's copy and is inscribed, "To Fred Hellerman, With my deepest affection - my highest respect - and best wishes for always. (signed) Milton Okun. The book itself is in Very Good condition. The dust jacket has a few small edge tears, but is in near Very Good condition and is protected by a clear mylar dust jacket cover. This association copy brings together two important names in the 1960's folk music revival.. Signed and Inscribed Milton Okun.. First Edition. Hard Cover. Very Good/Near Very Good. 48mo - over 3" - 4" tall - square. THE PEOPLE, YES - Fred Hellerman's Copy. New York: Harcourt, Brace and Company, 1936. This book is from the library of Fred Hellerman, a founding member of the folksinging group The Weavers. It is signed by him and has a small photo of him pasted in. Under his signature is a notation, in his hand, indicating that he was then stationed on the U.S.S. Greenboro. The book is in Good condition with some browning of the pages due to the kind of paper used in the printing. The dust jacket is only partially present but has been saved in a mylar protective clear cover.. Signed By Fred Hellerman. Hard Cover. Good/Fair. 8vo - over 7¾" - 9¾" tall. PALAEOLOGIA CHRONICA; A CHRONOLOGICAL ACCOUNT OF ANCIENT TIME, IN THREE PARTS, (1) DIDACTICAL; (2) APODEICTICAL; (3) CANONICAL. London: Printed By J. Darby, for Richard Chiswell, at the Rose and Crown in St. Paul's Church-Yard., 1677. This is not a reprint. It is the original book. At some point it was rebound with a leather spine over green buckram boards. This has helped to make the book quite readable and easy to use. The book is complete and includes a folding plate with the names of the subscribers. There are also some handwritten notes in an old hand. The usual errors in the printed pagination are here present, but the catchwords at the bottom of each page prove that all is present and complete.There is some foxing (browning of pages) present, but not affecting the overall readability of the book. Cary, who died in 1688, was a British chronologer. In this, his major work, he tried to put forth all the events since the beginning of time and up to the birth of Christ. In order to do this he had to use not only the Bible, but also other measurements of time taken from other cultures. A huge undertaking.. First Edition. Hard Cover. Good/No Dust Jacket. Folio - over 12" - 15" Tall.